And crown me your ludicrous suffering monarch. After Paul Verlaine’s ‘Les Poètes Maudits’ appeared in 1888, introducing to the world the splenetic, absent and diabolic genius of Rimbaud, Mallarme and Corbière, the poets that followed would experience not just a metaphysical paralysis, but a new and infinite compulsion to annihilate all exterior states of man’s consciousness, and breach the ‘old’ aesthetic speech-walls that had, for centuries, imprisoned the ‘I’. The sudden fin-de-siècle horror of ‘possessing’ any part of the imagination, or of having only a human ‘ownership’ of language proved to be an abomination. The soul needed to be ruined again, and be resung impersonally from the rooftops of the mind. The days of the self as psychological ‘property’ were over, thus poetry sought again to end orthodoxy, accidental liberalism, and to embrace the blank-birth of ‘absence’ in the soul as a necessary new fruit, a freshly plucked ‘zero’ from the nothing of the sky. It was the ‘I’ rather than societies that needed to be overthrown, and the lost worlds of an imagination still to be born of the force of negation. What followed, after the shock of Lautréamont and Rimbaud, were the decadent volumes Les Syrtes by Jean Moréas and À Rebours by Joris-Karl Huysmans, both of which were published four years before Verlaine’s articles. Huysmans especially was the creator of the new inward-looking man of the century, a perceiver of realities no longer bound by the ‘conscious’ or cognitive thought, but by the fragmented impulses of the unconscious. Thus literature’s ‘new’ heroes, Des Esseintes and Maldoror, seemed born of a pre-observational state of the mind; each of them a life-virus contaminated by no obvious personality, being merely shadows that flickered across the rubble of selfhood, lit by the candle of a soul whose wick was but a ‘symbol’, an evocation of a billion suns still to be lampshaded by the mind. 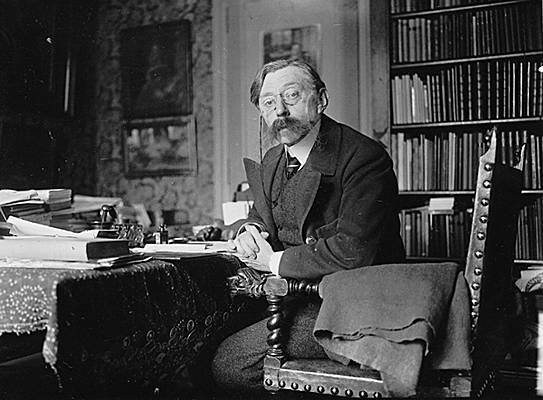 In Belgium the Symbolist Movement had begun, with two of its finest poets coming to prominence, Émile Verhaeren and Maurice Maeterlinck. In 1887 in L’art moderne Verhaeren himself would write: ‘One starts with the thing seen, heard, felt, touched or tasted, and then goes on to create the evocation’—a statement which, for him, was the equivalent of experiencing vertigo, and which began a ‘career’ of sinful acrobatics, anxiety and spiritual unfulfillment. In the compost of senses, of brains and hearts. And we remain rotting in native reason. Verhaeren’s ‘god’, ‘glacial and splendid’ was not so much a god of theology, as one of ‘gesture’ and ‘disguises’, one which laboured inhumanly behind the mask of his own face in an alienated world. A god born of the misconception that man is actually alive when he prays to him. Reduced as this poet was to the simulacrum of a man who no longer resembled the precise image of anything, and who suffered not from the mark of the stigmata caused by an imaginary nail, but from the thorns dragged across his flesh throughout the death-struggle with what, in nature, he continually fought. And if Whitman was a poet who stooped low to pick up the ‘handkerchief of the Lord’ from the grass-tufts on the ground, then Verhaeren was the poet who, each day, stooped low only to inspect the recently flattened grass where walked the footprints of the ‘great solitaries’, those whose spiritual appetite was not for the glory of a god on high, but for any hooded figure who, hiding eternally behind a veil, would one day be revealed as the one who ‘killed the soul’: ‘Monks coming towards us from gothic horizons, / But whose soul, whose spirit dies of tomorrow,’ those who ‘survive noble from a dead Christian world’. It is the purely self-propulsive odyssey to the superhuman cities, where even riots, massacres and unspeakable atrocities are, for this poet, mere migrations in his mood. Verhaeren, a quasi-fictive and impersonal ghost, an exacerbated phantom of his own consciousness, emerged from the ice-ages and extinction-pits of his own imagination into each tomorrowless horizon as one who had already been there. Each ‘future’ was only yet another bad sign, an omen to re-exaggerate his illusions of history and time. Every meaningless and inhuman act of ‘progress’ was a calamity dressed up too early in human flesh, and poked through to the eyeballs of every bloodshot mask. So what was the future? For this poet, instability, an alien society in which the serpent will no longer have the strength or inclination to wrestle man back down to the ground, where ‘regret’ and ‘remorse’ will be but hot coals hurled into the fires of an eternal and ferocious new calm, a ‘calm’ never to be broken by governments, hierarchies or worse, institutions; the poetry therefore of Verhaeren sought out new evidence of histories no longer bound by time; secondary and utopian ‘earths’ on which roamed the giant auxiliary armies of his imagination, new ‘societies’ run not by ‘leaders’ but by those acting out of a fascination with the ‘perversion’ of laws, rather than with teleological pursuits: ‘You advance on the roads of men, / Eyes hallucinated by the fires of perdition / From times distant to our present position, / Through ages of silver and centuries of iron, / And ever the same step priestly and broad’. Verhaeren, in coupling his own sick age with each vast new ‘society’ of his mind, condemned both to the reality of living under the oligarchies and despots of each of those utopias in which man, in his holy deliriums, forgets; at a certain level then this poet was as much interested in his ‘projects’ as he was in anything he might have meant; thus his own mental activity was an always unrealized topography, an ‘idol’ unable to be passed judgement on. Placed at the antipodes of self-effacement and sacrifice, Verhaeren saw the sickness of every society stripped to the contours of its sins; or wherever the bloodless, the nil in eternity, live out a life in which tradition and superstition are on the same level as randomness and chance. There is no greater obstacle to a spiritual awakening than the need for a thought to be consummated by the deliverance of itself, and as such his poems adjust themselves to his vision in the same way that a scab ‘adjusts’ itself to the wound. Verhaeren cannot contemplate a time when humanity might fulfil itself, and thus he imagines only the non-religious states in which amulets and icons are but trinkets still to be carved from the bone-blocks of a god’s imagination. Sickness: there is no more constant adjective inside of his mind, the ‘spiritually’ sick, those who, due to the waning of a god’s appearance in his brain, we legitimately foresee the congenital impotence of, those that force him to imagine over and over the sick and the dying, and also the lame whose only illness is never to reawaken the celestial monster of a true god inside of their hearts; for Verhaeren wrote always amid the incessantly painful realization that no ‘peoples’, based on the idea of living on an ontological plain, could ever or would ever be perfected. Even the Belgium terrain, for this poet, was but a hologram of Belgium projected onto the farm walls and the factories beyond the extant country in which he was born. His ‘subject-matter’ then was the very burden of consciousness that, each day, he carried like a rotten carcass onto his shoulders; in fact he felt its overbearing weight every time he stood up from a new horizontal position. When Heidegger described Hölderlin’s sense of ‘a new time’ as ‘the time of the fled gods and of the coming god’, it was a notion which did not in any way apply to the writing of this poet, for in his poems each new period of time was already, by virtue of an always beleaguered sense of what time lacked, a clock dissolved, a circle lapsed like a ripple on time’s surface. Possessed of a theocratic and dogmatic inflexibility, Verhaeren’s greatest tragedy was that, unable to think with his entrails, he was forced to by-pass instinct and use too freely his intellect, thus never being able to truly subjugate the illness of time, that is before he saw his own body founder upon the final bulwark of language; hence his (mostly) feeble opposition to the idea of any ‘godly’ predestination, of a god who might be about to depart from or enter into our world. Verhaeren renounced every celestial voyage as a failed decision made by man on the horizon, a decision which was unable to forge for itself a significant enough signpost in which to redirect his senses towards an infinite goal. With, in the brain, rivers of sap. To die! Like overgrown flowers, to die! The future holds only regret for what’s past. Where its death who chimes for death’. Portrait by Théo Van Rysselberghe. Symbolism then as an imaginative prelude to a future diaphanous universe never meant to celebrate space itself, only to what forever floats around it. Thus its every idea was doomed to be nothing but a literary inconvenience, a redefinition of mankind at the birth of every ‘no’; for there is hardly any progression to be attained in the symbol, only a perversion of the truth of nonbeing. To suggest what an image might mean, rather than to aspire to what it does was, for this poet, the only way that he dared aspire to the act of speaking over the universe, which allowed him to utter the cosmological lucubrations of his celestial insults. And having renounced the ignominy of merely ‘existing’, he held on only to the intervals in time, those unnameable points on the horizon in which human and divine solitude twists like a vine around the same bone. Like a military procession, Verhaeren marched each ‘imagined’ race on towards the abyss, all of which carried aloft the pennants and the flags of his own putrefying flesh. With a glacial hinterland from the ice-age being, for this poet, just as welcome a destination as a sunlit glade at dawn, he clasped onto the secrets of life and death just long enough for nature itself to be unpicked from his palm. If man is downgraded by sin, if the imagination can only imagine even greater sin, then by and large our species is left with nothing but to console itself by the systems of thought that never work, by the irremediably doomed and desolate societies in which each sin is continually born. So, is Symbolism today superfluous? reduced to the proofs of a fraudulent pulse maybe, for neither indefinite or temporary, it consisted of following a thought that would never reach words, living as it did by image alone; thus to re-celebrate the age of the ‘symbol’ would be to re-celebrate gravity while denying the existence of the ground. Despite this, Verhaeren dreamed of it, i.e. of a time when man had stopped thinking of God; when purified finally of thought, the imagination, for the first time, might be completed. He saw a species grown ill with ideas, future-men crouched naked in cells clutching to their chests not a crucifix, but a scroll containing the drafts for a new gospel of Christ: ‘If some day from the depths of mists and veils, / A new Christ looms; in sculpted light, / Who lifts humanity towards him / And in fresh star fire performs the baptism’. After all, the frontiers of the soul are not what, in a certain light, becomes somewhere else; and as such each enigmatic apparition that he witnessed tottering on a pedestal of new bone was, if nothing else, an idol believed in without faith. He imagined beings no longer sure whether they were alive or not, who ended up being nothing but the ‘unbowed’ suffering from the fatigue of another world. Yet he was also a poet unable ever to truly redeify himself, and subsequently he continued to pass through his poems until even the reader is left in a perpetually godless and fecund state of nothingness. Symbolism therefore was an ‘ism’ that turned out to be nothing more than an unforeseen and uncompleted matrix of enigmas, a future of ‘nothings’ unable to invent the clues to a new existence. But at least this poet did leave to us those parts of the human mind which, through the ineffectuality of literature, managed to extract ourselves from his being. Everything that Verhaeren felt attached to was at once stripped of his own historical reflexes to it: the more we read him, the better we ascertain for ourselves the indeterminate flattery of his woes, the symptoms of which he identified amid the caprices and impalpable storms of his torpor. Contrary to the world, he invoked an involuntary reproduction of it, in order to vivify his cries of antiquity as a legitimate ‘modern’ sadness. In Verhaeren there is always an eschatological sagesse of expression, despite the fact that his various conflicts feel at times too stilted; he was nevertheless an obsessive and apocalyptic time-keeper of the present, even if that present was, in truth, nothing but a congenital new dogma of his soul’s past. And so the oracular curiosities of other peoples in his poems will just have to remain as they always have done, an unjustifiable excuse to justify a literary hoax; while flesh, the material of his speech, will continue to signify nothing, nothing that is but what remains behind the diaphanous, but ultimately false authorial garb of the poet. 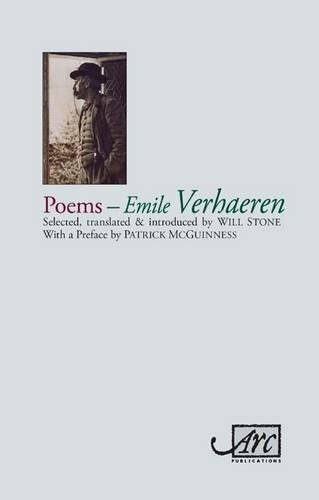 Will Stone, a suitably equipped pallbearer, shoulders back into view for the English-speaking world the corpus of Verhaeren, and provides for the reader via his cogent and insightful introduction a dissection of all of the Belgian poet’s books published in his lifetime. If E.M. Cioran was right and that ‘criticism is a misconception: we must read not to understand others but to understand ourselves’, then Stone bridges perfectly the contradictory impulses that need always to be curtailed in a translated work. The imagination, possessed of a papier-mâché world superior in likeness to our own, is the only empire the translator has to sack, for only then can he stand up amid the rubble of what he is undertaking and marvel at the magnitude of it. 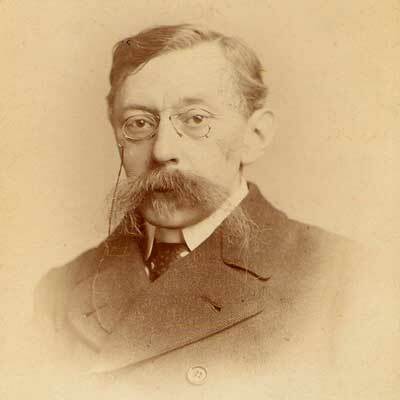 The task for Will Stone then was to postpone the suicide of Verhaeren’s mind, and to rewrite a draft of the postcard of his poems and send them back to us as if they had been sent by the poet’s own hand. 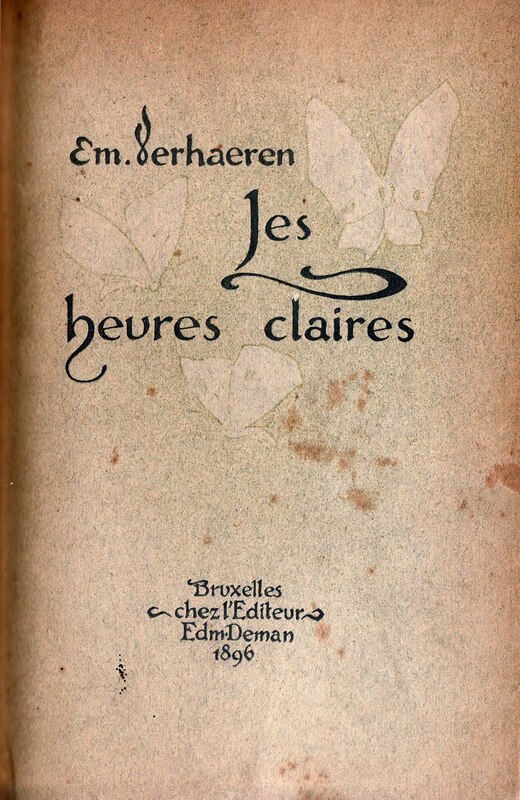 Thus the translator must fall without recourse into each negative eternity, into the scattered time-zones of Verhaeren’s mind and affirm himself as an annulment of the poet’s desires; to be in essence then a subtraction in a series of destructions, a summa of corrections, a plenitude of withdrawals and advancements. One of the most modern trends in translating, especially by English-speaking translators of such famous European poets like Rimbaud and Corbière, has tended to concentrate on the translator’s own (always) observable and aggressive need to force into view a hermeneutic system based on only the most urgent colloquialisms in their own language, their own always too private usage of the poet’s language—and not as they should have on what Susan Sontag called the ‘latent content’. Subsequently these kinds of ‘translations’ appear too remote from the original, too stifling, the only ‘dimension’ seemingly added to the original poems being the ego; but this is not always the case as Will Stone proves here, for like a palaeontologist he goes in search only of the bone of Verhaeren’s original idea, and thus reconstructs from there. There is no ‘modish’ usage or conceptual interference here, no unforeseen need on the translator’s part to in anyway modernize the foundations of the cities and civilizations vanquished by the conquests of Verhaeren’s own mind. Thus these translations stand firm, solid as concentrated breakwaters, between the sometimes inhospitable winds straining between the chasm of the two mouths. Thus it is clear then that Verhaeren assented to all ‘alien’ impressions while denying the sane. And it is between the parenthesis of this affirmation and denial that the reader must seek out the key to the limits of his falsehoods and truths. The Sickness unto Death, Soren Kierkegaard (translated by Alastair Hannay, Penguin classics). From Leaves of Grass (1855). ‘The Origin of the Work of Art’ a public lecture by Martin Heidegger (Nov 13th, 1935, Freiburg, Germany). From the poem ‘Fatal Flower’. 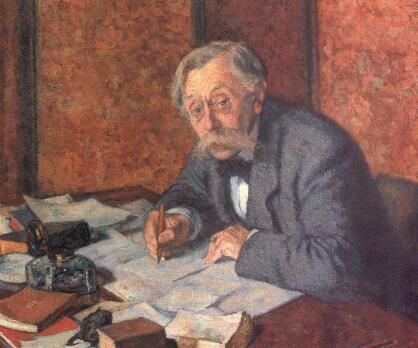 Emile Verhaeren, Stefan Zweig, 1910. From the poem ‘On the Shore’. From the poem ‘The Dead’.